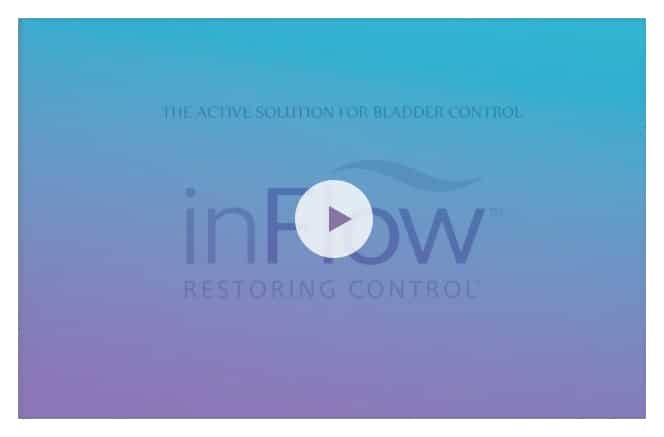 The inFlow™ Intraurethral Valve-Pump (“the inFlow device” or “the inFlow”) is a non-surgical urinary prosthesis for women with permanent urinary retention due to impaired detrusor contractility (IDC). The inFlow mimics normal urination, providing a convenient and dignified alternative to urinary catheters. (It is not an incontinence device.) The inFlow is normally replaced every 29 days, but can be easily and safely removed at any time, even by patients. Adverse events are similar to those for urinary catheters. No serious or long-lasting adverse events associated with device use have been reported. Click the link ‘InFlow Instructions for Use” below to see safety profile information. The inFlow is the only known device of its type, a unique and elegant solution for a population with serious medical conditions and no good alternatives. IDC is a medical condition wherein patients are unable to spontaneously urinate due to insufficient detrusor muscle contraction. IDC is most often the result of life-changing neurologic disease or injury such as stroke, multiple sclerosis, spinal cord injury, spina bifida or diabetic neuropathies. 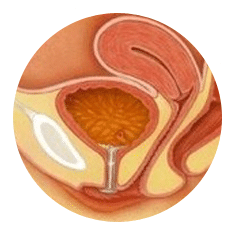 IDC is itself a serious medical problem and complications include urinary retention, overflow incontinence, recurrent UTIs, bladder stones and impaired renal function. While new procedures (notably the Medtronic InterStim and Allergan Botox) now provide clinical options for neurogenic overactive bladder, none have emerged for neurogenic underactive bladder, i.e. IDC. Since IDC is generally incurable, the vast majority of women with IDC use urinary catheters for bladder drainage on a life-long basis. As a result, they get urinary tract infections (UTIs), their catheters encrust and they have low quality of life. 1. Infection: Its pivotal trial showed the inFlow to have a lower UTI rate than for clean intermittent catheters (CIC), the current standard of care. 2. Encrustation: Per a study conducted by a D. Stickler, a leading microbiologist, the inFlow’s encrustation resistance is at least 8.4x better than a silicone Foley catheter, another unprecedented finding. 3. 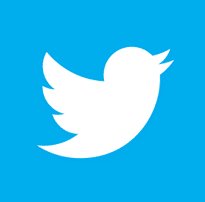 Quality of life (QOL): Most users regard this as the inFlow’s greatest benefit. In published clinical studies, the inFlow improved QOL by 50-80%, due to the following: a) it eliminates the need to self-catheterize multiple times daily; b) it eliminates tubes and bags, improving body image (as well as hygiene); c) it allows most users to void without assistance, increasing self-reliance; and d) it allows use of a toilet, a psychologically significant benefit as that is the “normal” way to void. The inFlow compensates for a lack of bladder pressure by pumping the urine out of the bladder. It is an active device that replaces passive urinary catheters. The technology involved is considerable and is the result of extensive development over a 10 year period.